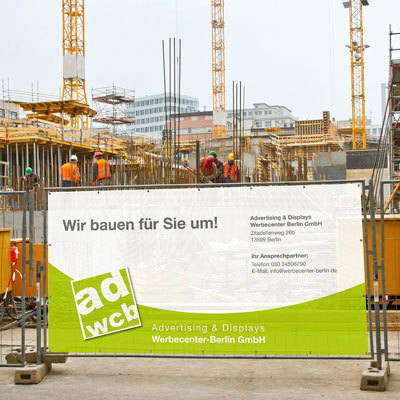 Our fence banners fit on commercial construction fence elements with a size of 340x175cm. 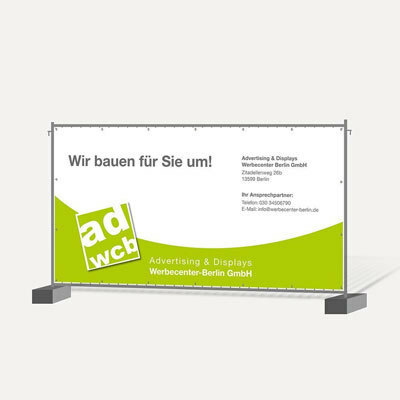 The motif of your weatherproof and robust banners will be printed on 290g/m² mesh canvas material. Mesh banners are ideal for outdoor use because of theri wind permeability. 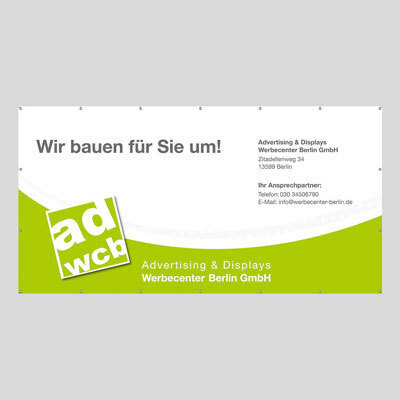 The printed banners will be manufactured standardly with eyelets for an easy mounting. The material is certified B1 (fire protection class), so you can use it at indoor events, exhibitions and concerts. These banners are ideal for construction grounds, exhibition grounds, stage construction or as signs or in generel as a privacy and dust protection (on festival grounds, for barriers and many more). The mesh material is also avaialable as mesh banner in custom format. 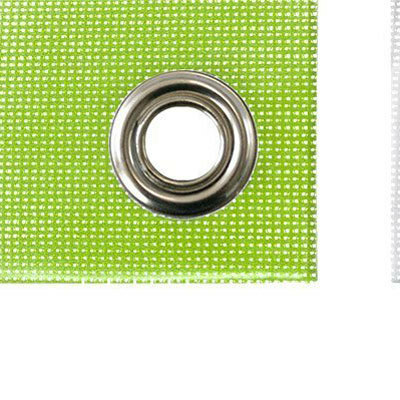 Our banners are always produced with eyelets (approx. every 50cm) and will be manufactured with a reinforced hem as standard. The banner will be delivered rolled. We recommend to store and transport the banner rolled (if possible). Folded transportation and storage can result in creases and wrinkles. This can be minimized only by a smooth and tight tension on all sides by time. Depends on solar radiation and place of installation: in average 2 years, max. 4 years. In extreme cases, e.g. installation on a flat roof 1 year. We recommend to mount the banner with rubber hooks or expander rope, which are available as accessories in the shop. Cable ties or cords are not recommended due to lack of elasticity, eyelets may rip out.